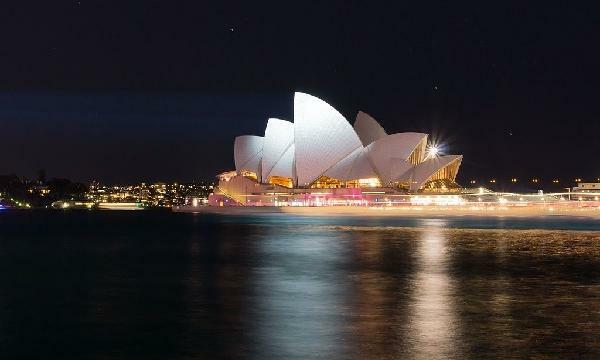 Australia’s gross domestic product (GDP) growth is projected to slow to 2.5% in 2019 from 3% in 2017 on the back of a continued slowdown in Chinese growth which will impact demand for Australia’s mining exports, according to a report by Fitch Solutions. Australia’s real GDP growth slowed to 2.8% YoY in Q3 from 3.4% YoY in Q2, whilst also underperforming based on Bloomberg’s consensus estimates of 3.2% YoY, the report cited. On a seasonally adjusted annualised basis, growth came in at 1.2% QoQ for Q3 which is significantly lower from the 3.5% QoQ increase reported in Q2. The growth moderation in Q3 was mainly due to the sharp moderation in private gross fixed capital formation growth which slowed to 0.7% YoY from 6.4% YoY in Q2. The slowdown in private investment was led by an 8.2% YoY decline in new engineering construction and a 5.6% YoY fall in mining and resource investment. “Net exports also contributed a positive 0.6% points to headline growth, driven by a 4.5% YoY increase in exports amidst a slightly slower 1.5% YoY rise in imports,” Fitch solutions observed. However, slower Chinese growth may tighten the lid on Australian mineral exports following China’s real GDP growth is projected to slow down to 6.4% in 2019 from 6.7% in 2018. China accounts for approximately 80% of Australia’s mining exports, according to the report. China’s industrial production slowed to 5.9% YoY in October from 6.6% YoY in June and is expected to further decelerate as a result of escalating trade tensions with the US. “We expect this to cause export growth to turn lower over the coming months,” Fitch Solutions noted. Meanwhile, Fitch Solutions said it expects Australia’s declining housing market to weigh on private sector gross fixed capital formation growth over the coming quarters due to still-poor affordability and the increasing rollover of ‘interest-only’ loans by property owners into ‘interest and principal’ payments. “We believe that the gradual rollover of such loans will increasingly see property owners struggle to meet their debt obligations as debt repayments are likely to constitute a significant proportion of household spending, given Australia’s high household debt to income ratio of almost 203%,” Fitch Solutions explained. Australia’s residential property prices slipped 0.6% YoY led by a YoY decline price declines in Sydney (3.9%), Perth (0.9%) and Darwin (6.1%) in the four quarters up to June. Total building approvals also recorded a fourth consecutive month of YoY contraction, falling 4.9% YoY in October, the report revealed.